A girl realising at last that being imperfect is just fine! 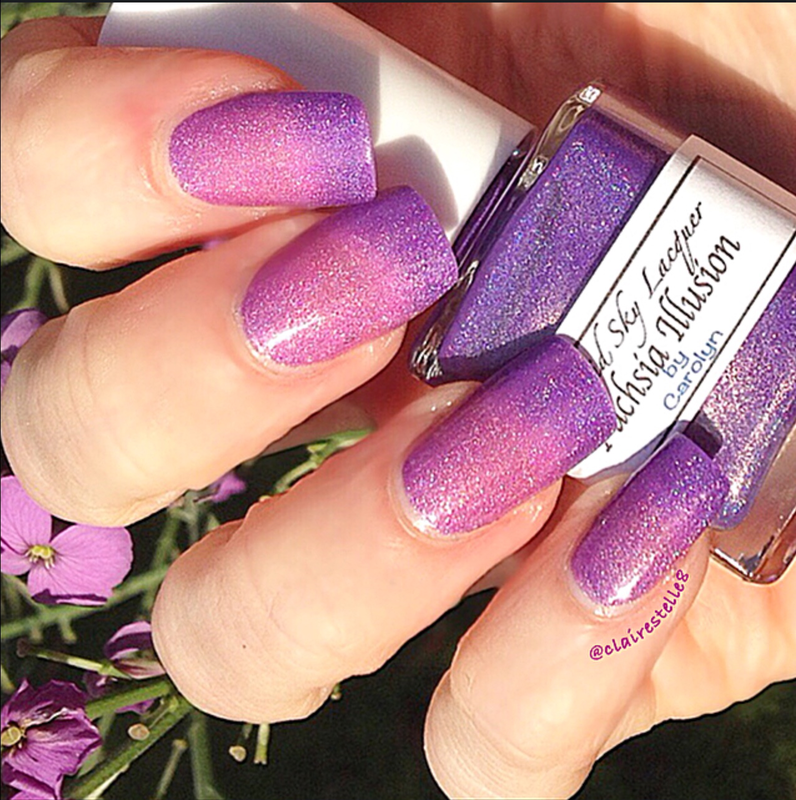 Today I am showing you a thermal polish from one of my favourite indie brands – Liquid Sky Lacquer’s Fuchsia Illusion. 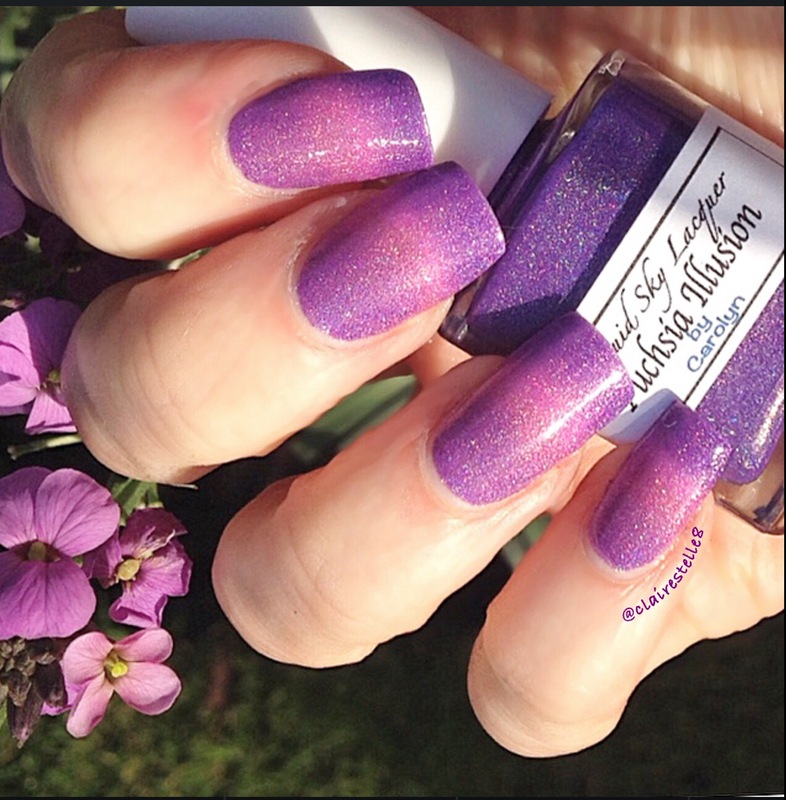 This is a stunning deep purple holo when in its cold state. In England,where I live, the weather conditions are perfect to show thermals off like this! I was never warm enough for it to change completely but I did get a rather interesting effect at times with a striped shift of colours! 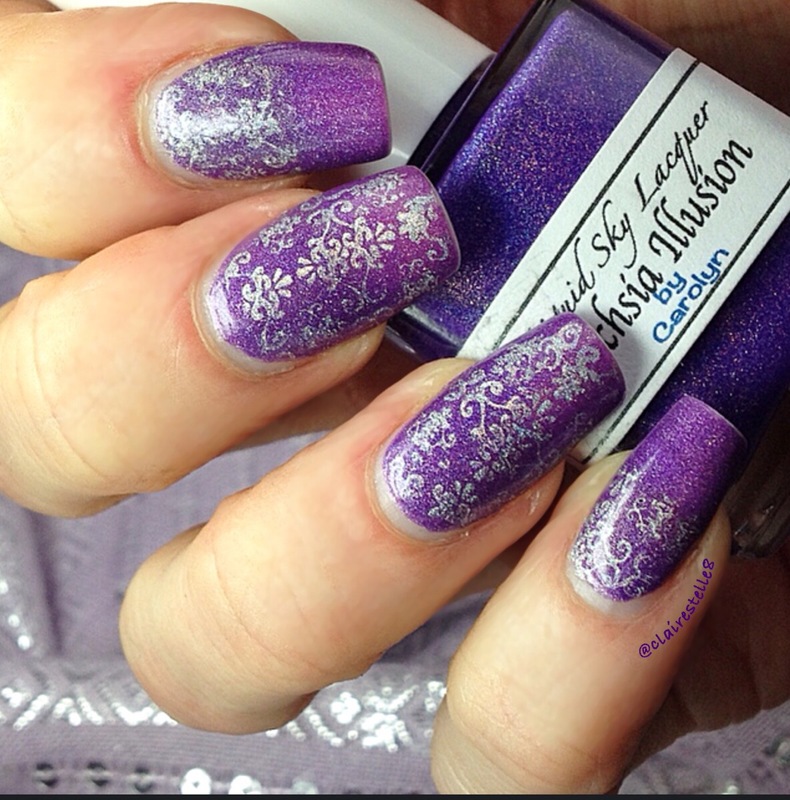 I then added a bit of stamping with Color Club Harp on It ( a gorgeous silvery holo) and Moyou plate Tourist 21. 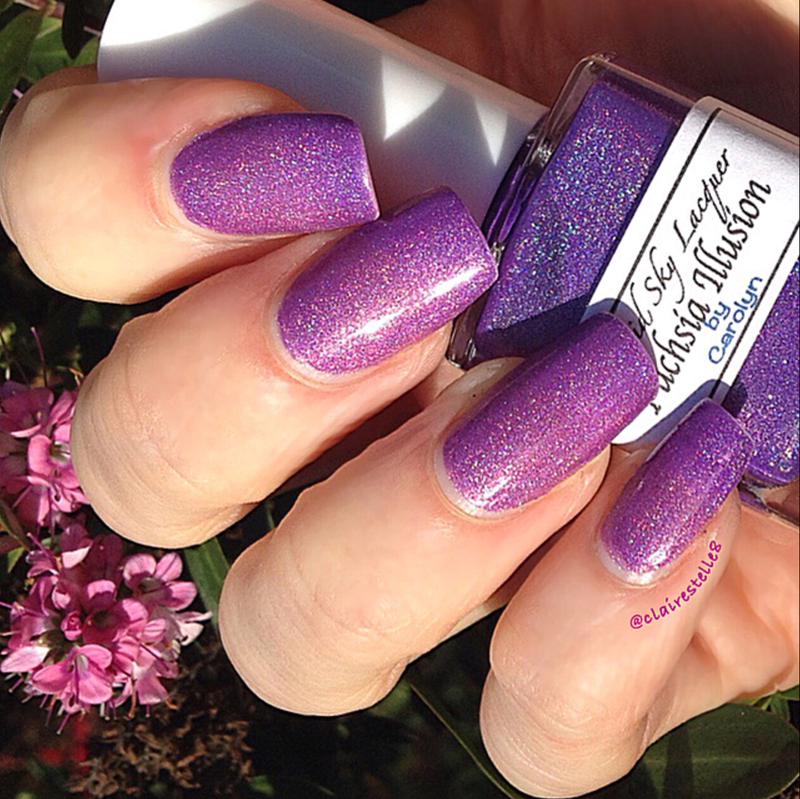 Fuchsia Illusion, like all of Liquid Sky Lacquer polishes I have used, applied very smoothly and easily and was perfectly opaque in two coats. And I always find wear excellent! It didn’t shift between states terribly easily but I think I should hold the chilly English autumn weather partly culpable! 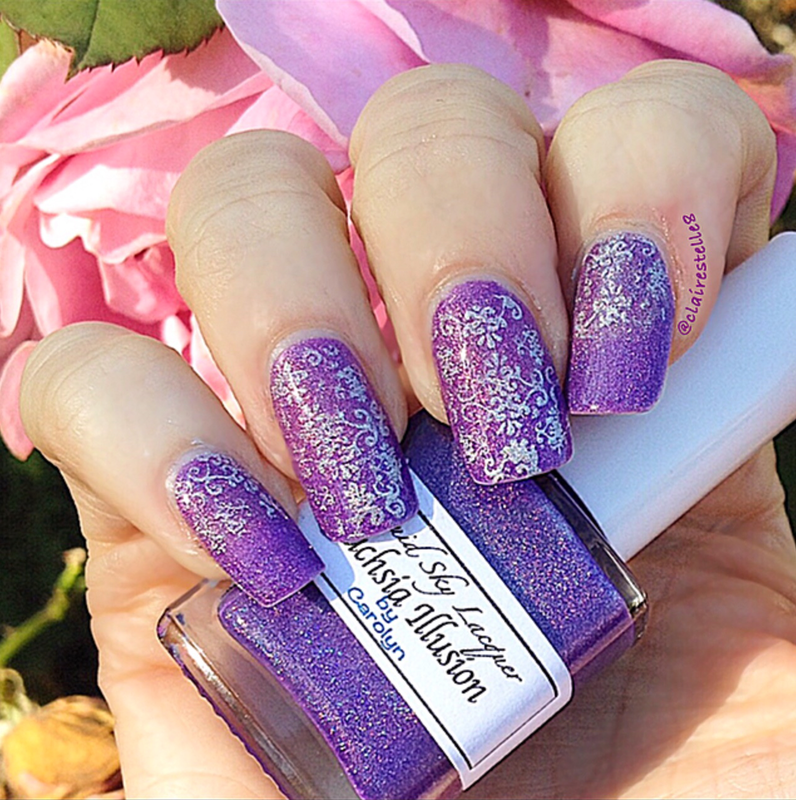 The Nail Art Kit on Bibbidi-Bobbidi-Boo!